Send questions & suggestions to impactbychoice@gmail.com. "Anger is never an excuse to be bitter" In today's episode, Rahila and I speak about chapter 9 of my book, called "The Empire". We speak in depth about the effects of anger on human beings, from personal level to professional. We would love to learn your feedback, so feel free to send us a voice message (if you listen via Anchor) or an email to impactbychoice@gmail.com. Reviews on iTunes and spreading the word are highly appreciated. You can connect with Rahila via her LinkedIn profile (https://www.linkedin.com/in/rahila-khan-873900143/). The book we are speaking about can be purchased from this link: https://www.amazon.com/Man-Moon-Casquette-Andrada-Anitei-ebook/dp/B07L1293RT/ref=sr_1_1?crid=17W6A79JAJUDK&keywords=the+man%2C+the+moon+and+the+casquette&qid=1555510557&s=gateway&sprefix=the+man%2C+the+moon%2Caps%2C235&sr=8-1. Thanks for tuning in! Stella Da Silva is a freelance training consultant, who focuses mainly on vocational education and on-the-job training. She traveled extensively to deliver trainings on vocational education, communication & employability skills, as well as trainings on how to better engage with learners in education and training. The above have been delivered to educators, trainers and learners in China, South Korea, Malaysia, Vietnam, Saudi Arabia, Oman - to name a few. Nonetheless, Stella is constantly looking to expand the impact of her work, in many more countries. She worked with corporate organizations, facilitating on communication skills and conflict management in the work place. In addition, she delivers one to one coaching, as well as motivational talks in schools, in order to share her journey with the students. The common denominator of Stella Da Silva's activity (both on a personal and professional levels) is PEOPLE. She's passionate about engaging and interacting with people: people who achieve, people who haven’t yet achieved, people not given the chance to achieve. She loves talking to them, however she also posseses a skill so rare these days: active listening, which leads to effective communication. She is in love - with life, with traveling, and with the ability of inspiring and empowering others. You can connect with Stella via her LinkedIn profile (https://www.linkedin.com/in/stella-dasilva/) or via Instagram (https://instagram.com/stelldas). If you enjoyed our conversation, you would make us very happy to hit the subscribe button, leave us a review on iTunes and spread the word. Also, remember that we appreciate feedback, so remember that you can send us a voice message (if you listen via Anchor) or an email to impactbychoice@gmail.com. You can also join our community on Facebook - https://www.facebook.com/impactbychoice/. Thanks for tuning in! We're almost at the end of my book ("The Man, the Moon and the Casquette"), as in today's episode my guest and I speak about chapter 8, called "A hero's journey". Rahila is unpacking her knowledge in regards to pride, hurt and, on the flip side, kindness and patience. Connect with Rahila Khan via her LinkedIn profile (https://www.linkedin.com/in/rahila-khan-873900143/) and reach out to me on LinkedIn as well (https://www.linkedin.com/in/andrada-anitei/). You can purchase the book from Amazon: 👉 paperback - https://www.amazon.com/Man-Moon-Casquette-Andrada-Anitei/dp/9730282447/ref=tmm_pap_swatch_0?_encoding=UTF8&qid=1554890226&sr=8-1 ; 👉 e-book: https://www.amazon.com/Man-Moon-Casquette-Andrada-Anitei-ebook/dp/B07L1293RT/ref=sr_1_1?keywords=the+man%2C+the+moon+and+the+casquette&qid=1554890226&s=gateway&sr=8-1. Remember that if you enjoy it (and this show, in general), you would make us very happy to hit the subscribe button, leave us a review on iTunes and spread the word. We are open to feedback, so feel free to send us a voice message (if you listen via Anchor) or to drop us an email to impactbychoice@gmail.com. Thank you for tuning in for this series! Anton Chumak is an identity coach and a high achievers' mentor. He believes that only the ones who are highly determined and committed will be the ones to actually fulfill their dreams and live life their way. He also has a few books under his pen and he's the CEO of Coaching hub.us. Anton has been one of my greatest helpers along my self-discovery journey and is definitely a person to listen to and learn from. His Stress Management course is of tremendous value and I recommend it to everyone. You can connect or contact Anton via his LinkedIn profile (https://www.linkedin.com/in/beanoaktree/) his website (www.oaktree.live) or by sending him an email to anton@oaktree.live. In this episode, among others, we spoke about a letter he wrote for his newborn and you can read it in this article 👉 https://www.linkedin.com/pulse/coaches-lessons-my-newborn-anton-chumak-andryakov-high-achiever-coach/. You can give a go to his stress management course here 👇 https://humanperformanceforprofessionalgrowth.thinkific.com/courses/StressManagementForAchievers. If you enjoyed this episode, you would make us very happy to subscribe, leave us a review on iTunes and to spread the word. For questions (to which both myself and my guest are open) you are more than welcome to send us a voice message - if you listen via Anchor app - or to send us an email to impactbychoice@gmail.com. As always, thanks for tuning in and for being a true supporter of this adventure of self-development and our endeavor to pass along valuable life lessons. In today's episode, Rahila and I speak about chapter 7 ("Arian, Joaquim and Artema") of my book - "The Man, the Moon and the Casquette". *** Artema has been raised in the same orphanage as Joaquim and she is currently working at Rada's restaurant. One day Artema is caught red-handed while she was trying to steal from the owner. Nonetheless, the story goes way beyond the surface, as we learn the reason why the woman attempted theft. Rada's approach towards the situation is way different than what some regular person would adopt. *** Before addressing today's question to my guest, I read a short excerpt from the chapter, so that you can get immersed into the story and learn the circumstances. You can contact Rahila Khan via her LinkedIn profile - https://www.linkedin.com/in/rahila-khan-873900143/ - and we would love to hear from you. So feel free to leave us a voice message (if you listen via Anchor app) or send us an e-mail at impactbychoice@gmail.com. If you enjoy this episode and the show in general, you will make us very happy once you sign up to this podcast, leave us a review on iTunes and spread the word, so that we can grow! Thank a lot for tuning in! Louise H. Reid is a LadyBoss coach, who dedicates her life to empowering other women to acknowledge their true potential and tap into their uniqueness. She is also a wonderful podcast & radio host (look for "The Louise H. Reid Show"). In the beginning, I was waaaaaay out of my comfort zone having her in my show (as she's someone I greatly look up to), but she managed to create a very warm and friendly atmosphere. Therefore, we spoke about a wide range of topics, such as our inner child, hopscotch, talking badly to oneself, how she loves group coaching (for a particular reason) and many more. You can contact Louise via her LinkedIn profile (https://www.linkedin.com/in/lreidchrl/) , Facebook (https://www.facebook.com/louisehreid/) and her website (https://www.louisehreid.com). If you enjoyed this episode (and the show in general) you would make us very happy if you signed up and left a review on iTunes, so that we can grow. Also, remember that feedback is always welcome. We would love to hear your voice message (if you listen via Anchor app) or read your e-mail at impactbychoice@gmail.com. Feel free to let us know of any improvement suggestions or questions you may have for our guests. Thank you for tuning in to learn how this wise woman makes an impact, through the power of choice, on the world around her. Dom Marcell (on his real name Dom Collins) is an entrepreneur who gave up a successful career at Corporate America to dedicate himself to his higher purpose. Singing has always been his greatest passion, ever since he was in high-school. In today's episode, we speak about how he handles both the business and the artistic side of this adventure. However, I couldn't help myself but to ask about how does an emerging star see the power of choice. This is definitely an unusual episode, from several angles. As I have been provided with the express consent of the rightful owner, you will get a chance to hear - in the background - one of his latest tracks - "Church night" and a part of "D.T.K". (© Domarco 7 Entertainment). At the same time, you will learn what does an usual day of an artist look like. You can follow Dom Marcell (or contact him for collaborations) via his social media accounts: Facebook (https://www.facebook.com/dommarcell/), Instagram (https://www.instagram.com/dommarcell/), Linkedin (https://www.linkedin.com/in/domcollins15/). If you enjoyed this episode (and the show in general) please leave us a review on iTunes to help us grow. At the same time, we would love to hear from you, so remember that you can leave us a voice message (if you listen via Anchor app) or send us an email to impactbychoice@gmail.com. Thank you for tuning in! In today's episode, Rahila Khan and myself dive into chapter 6, called "The Plush Rabbit" from my book "The Man, the Moon and the Casquette". We focus, in particular, on an excerpt that I read at the beginning of the episode, but Rahila's wisdom will dazzle you as much as it amazed me. You can connect to Rahila or follow her via her LinkedIn Profile (https://www.linkedin.com/in/rahila-khan-873900143/). We look forward to your inputs on this episode as well, just like we happily received your feedback on the previous ones. Please remember that you can send us a voice message (if you listen via Anchor app) or you can send us an email to impactbychoice@gmail.com. Thank you so much for tuning in, for subscribing and for leaving us a review on iTunes, so that we can grow and spread our message on a larger scale. See you on Friday, for this week's interview. In this short episode I speak about an episode that happened today and how I handled it, as a parent. It's not something I am precisely proud of, yet I am sharing this in hopes it helps someone who is walking in the same shoes as I do. It's OK to understand that these things happen, but it's important to also take action to make things right. If you enjoy this show and episode, please leave us a review on iTunes and share it with someone who may need to learn that they are not alone in this life-time process called parenting. Thank you for tuning in! Kristin Sherry is the creator of YouMap, a technique designed to help people find their strengths and values, in order to make the best career choices. She wrote a book with the same name of the technique, in order to extend her knowledge to the wide world. In this episode, we speak in detail about several topics, such as the power of choice and how to own our talents and capabilities. Kristin can be reached via her LinkedIn profile (https://www.linkedin.com/in/kristinsherry/) and her website (https://www.myyoumap.com). YouMap (the book) can be purchased from Amazon, via the following link: https://www.amazon.com/YouMap-Yourself-Blaze-Path-World/dp/1684331439/ref=sr_1_1?keywords=youmap&qid=1552675918&s=gateway&sr=8-1. If you enjoyed this episode, please leave us a review on iTunes and tell your friends about this show. We would love to hear from you, so remember that you can send us a voice message (if you listen via Anchor) or an email at impactbychoice@gmail.com. Thank you for tuning in! In today's episode, Rahila Khan and I talk about 2 very impactful topics, on the basis of chapter 5 (called "New Dawn) from "The Man, the Moon and the Casquette". The mentioned topics relate to: 1. thinking for ourselves; 2. Judging the others. You can contact my guest via her LinkedIn profile https://www.linkedin.com/in/rahila-khan-873900143/. The book we are talking about can be purchased from WorkApp https://workapp.world/business/The-Man-the-Moon-and-the-Casquette---A-Self-development-Book/TjJObVk2UzFBc2pnRG5KQUc2MFJOZz09 or Amazon https://www.amazon.com/gp/product/9730282447?pf_rd_p=1581d9f4-062f-453c-b69e-0f3e00ba2652&pf_rd_r=CYH013PZ3R8RDNPNSTZB. If you enjoy this series and this podcast in general, please help us grow, by leaving us a review on iTunes. Also, we encourage you to get in touch with us by sending us a voice message (if you listen via Anchor) or by sending us an email to impactbychoice@gmail.com. Thank you, as always, for tuning in! Shane Wallace is the CEO of WorkApp, a platform that allows everyone to advertise for FREE. In the name of transparency, I will tell you that the first challenge was to actually have Shane accepting to re-record this episode. And the reason behind this was the fact that I wanted to give you, the listeners, a different perspective on who Shane Wallace is. In the first place, we had a normal, serious conversation, but I wanted to break the pattern for a short while. So, despite the support that I like to offer to this project, in this episode my challenge goes exactly towards the flispside. We had a lot of fun while recording this episode, so I hope you will have fun as you listen to our conversation too. If you do, please leave us a review on iTunes and share it with everyone you know. You can download WorkApp here 👇 https://workapp.link/GetApp. And you can get in touch and/ or follow Shane via his LinkedIn profile here 👇 https://www.linkedin.com/in/Shane-Wallace-WorkApp. We look forward to learning from you, so remember that you can leave us a voice message (if you listen via Anchor app) or send us an email to impactbychoice@gmail.com. Thank you for tuning in! In this episode, my guest and I are bringing insights from chapter 4 (called "The stolen child") of my book ("The Man, the Man and the Casquette" - available on WorkApp and Amazon). We find out how Rada loses a child from the orphanage and how many efforts she makes to bring him back. Will she? *If you like this series and this episode, please share it with your friends and leave us a review on iTunes, to help us grow. Rememeber that you can also leave us a voice message (if you listen via Anchor) or send us an e-mail to impactbychoice@gmail.com. As always, thank you for tuning in! Monday is generally perceived as that "meh" day of the week. But with this episode I want to show you that it can be different, as soon as we open up our heats and minds to humanity. Find out how you can fall in love with human nature! ;) Enjoy the episode and remember that you can send us a voice message (if you listen via Anchor app) or an email to impactbychoice@gmail.com for feedback, questions or suggestions. If you enjoy the content of this podcast, please help us grow by sharing it around and by leaving a review on iTunes. If you or someone you know would like to become a guest or if you need guidance with your writing, you can book a 30 mins free call via Calendly, here: calendly.com/anitei-andrada. Thanks a lot for tuning in! Women in leadership are simply amazing! But they also need to acknowledge this. Today's guest is the perfect example to showcase, as a woman in leadership. She is currently and Expats' and Leadership coach, after more than 15 years in the corporate environment. In this episode, my guest and I speak about this (leadership), her life story that had a great turn-point in her twenties and resulted in her book "My revenge on life", and many more. You can get in touch with Virginie via her LinkedIn profile (https://www.linkedin.com/in/virginielemay1/) and by visiting her website https://vlv.coach. You can purchase her book here: https://www.amazon.com/My-Revenge-Life-light-tunnel/dp/1720839069/ref=sr_1_1?crid=39NGUT2MT4QSS&keywords=my+revenge+on+life&qid=1551434371&s=gateway&sprefix=my+revenge+on+life%2Caps%2C895&sr=8-1. If you enjoyed this episode, we would love to hear from you, so feel free to send us a voice message (if you listen via Anchor app) or to send us an email at impactbychoice@gmail.com. Also, if you would like to help us grow, please take a few seconds to leave us a review on iTunes. At the same time, you can support the development of this podcast by visiting the following link: https://www.patreon.com/andradaanitei. Thanks a lot for tuning in! In today's episode, we conclude with the insights from chapter 03 of the book "The Man, the Moon and the Casquette". As guidelines, Rahila Khan and I discuss about about the moment of transcendence and passing of legacy. At the same time, we speak about emotions and why should we allow them to take over instead of trying to crush them. You can reach out to Rahila by checking her LinkedIn profile (https://www.linkedin.com/in/rahila-khan-873900143/). We would be delighted to learn your feedback, so feel free to send us a voice message via Anchor app (you will be able to hear it in a future episode or added to this one) or an email to impactbychoice@gmail.com. If you enjoy this podcast, please help us grow by leaving us a review on iTunes. Thanks for tuning in! In today's episode you will learn why I like to call myself a "walking paradox". :)) I would love to learn your feedback, so remember that you can leave a voice message via Anchor app or send an e-mail to impactbychoice@gmail.com. Thanks a ton for tuning in! If you enjoy this show, please leave us a review on iTunes so that we can grow. Darrel Frater had contact with entrepreneurship from a tender age, as he learned it first hand from his father. Ever since, Darrel has been passionate about startups. In college, Darrel grew a strong passion for mentoring, while obtaining his bachelor’s in business from The College of New Jersey. ​A year after graduation, he worked at a Fortune 500 company, yet after 2 years he felt unfulfilled and developed a strong urge to continue serving others. ​His passions for problem solving, mentoring, and entrepreneurship led him to officially begin his entrepreneurial journey with the departure from his job in June of 2018. He is confident that a shift toward social entrepreneurship will make this world a better place for every member of humanity. You can check the app Darrel mentioned by following the link below: https://youtu.be/WgOVI3PTuQg You can contact Darrel via his LinkedIn profile https://www.linkedin.com/in/darreldfrater/ or by checking his website www.darrelfrater.com. If you enjoyed this episode, please send us a voice message (if you listen via Anchor) or an e-mail at impactbychoice@gmail.com. Also, help us grow by leaving us a review on iTunes. Thanks for tuning in! "Army boots" is an article I wrote in July 2018 and published on my website (https://andradasworld.com/2018/07/07/army-boots/). There is an explanation for publishing this very episode and writing piece. You will understand its meaning once you reach the end. I hope it will be of inspiration. Thanks a lot for tuning in! If you enjoy the structure and content of this podcast, please go to iTunes and leave us a review. Also, questions and suggestions are always welcome, so feel free to leave a voice message (if you listen via Anchor) or to drop an e-mail to impactbychoice@gmail.com. Catherine Daar is the Founder and Creator of the #NeverTooLate project, which will be exposed in this episode. As a professional, she is passionate about the communication and marketing industry, with over 25 years of experience, having collaborated with companies like MTV, Nescafe Milano, WHO, UEFA and many others. Her specialties are digital marketing, social media, live streaming, funnel building, content strategy and many more. Besides the #NeverTooLate project, in this episode we speak about depression, dreams, meditation, business, LinkedIn and, of course, the power of choice (and others). You can learn more about, connect with and follow Catherine via her LinkedIn profile (https://www.linkedin.com/in/catherinedaar/). If you enjoyed this episode, we would love to learn your feedback. For this, feel free to leave us a voice message (if you listen via Anchor) or to send us an e-mail to impactbychoice@gmail.com. Also, if you'd like to make a contribution to our growth, we would appreciate a review on iTunes, as from there we can soar towards new horizons and spread our message widely. Thanks for tuning in! In today's episode we speak about chapter 3 from my book and particularly about how a child who was forced to spend 3 years on the streets rediscovers the joy of each small thing. A golden part of this episode is the one in which Rahila speaks about parent-child relationship. We would love to learn your feedback on our discussions, so you are invited to leave us an audio message (if you listen via Anchor) or to send us an email to impactbychoice@gmail.com. You can follow or interact with Rahila via her LinkedIn profile: https://www.linkedin.com/in/rahila-khan-873900143/. The links mentioned by Rahila are: www.thejourney.com, www.outreachinternational.com and www.journeyoutreachafrica.com. Thank you for tuning in! If you enjoyed this episode, please leave us a review on iTunes, so that we can grow and widely spread our message. Rob Deptford is a special person to whom I fully resonate, due to the personality type that binds us: we are both being "labeled" as introverts. He is currently dedicating his time to advise people how to land the job they desire, by adjusting their resumes. I have taken his resume writing course out of curiosity and I must say that I wholeheartedly recommend it. Find out how an introvert manages to overcome his stage fear and how he chooses to make an impact on the world around him. You can connect with Rob over LinkedIn or http://www.forgeaheadcoaching.com. If you enjoyed this episode, share it with someone who may need to hear this information today. Also, feel free to leave us a review on iTunes and contribute to our growth. If you'd like to get in touch, you can leave us a voice message (if you are listening via Anchor) or to send us an e-mail to impactbychoice@gmail.com. Ep. 10 - What's my story? I never go by the rules, so I kept this episode in the back of my mind for a while. Don't ask me why I choose to share it precisely today, as I have no particular reason. In short, today you will learn a small part of my life story and hopefully you will understand why I am madly in love with storytelling and with helping people to write their own stories. You will learn a bit about other things I can do besides writing, including my huge passion for singing. Thank you for tuning in, as always, and I appreciate you sharing this story and for leaving me a review on iTunes if you enjoyed it and would like to help me grow. Also, starting today, this show also has a company page on LinkedIn and I would appreciate you following it :) - https://www.linkedin.com/company/impactbychoicepodcast/. See you on Thursday, with a new episode from the bonus series with Rahila Khan. 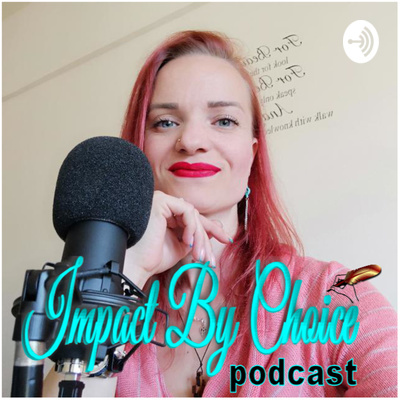 If you would like to get in touch, you can use the voice messaging feature - if you listen via Anchor - or you can send me an email to impactbychoice@gmail.com. Chantel Soumis is a brilliant woman, who's been through a lot in her life. By the age of 25, she almost lost her sight, had serious issues in moving any part of her body, yet she still fought against all odds, in order to provide for her family. Today, she is running her own marketing and branding venture, has a beautiful 4-year old boy and a very supportive husband. She is the author of a 3-letters series dedicated to empowering people. The first one in the series, "Letter to the working warrior" is absolutely brilliant. Since we spoke, she also released the 2nd one, called "Letter to the caregivers", which touches many hearts. You need to check them out on her Linkedin profile (https://www.linkedin.com/in/chantelsoumis/). In today's episode, we cover a wide range of topics: from her childhood, creativity, her love and advocacy for "the differently-ABLED people", bedtime stories, diversity and so many more. You can reach out to Chantel via her LinkedIn profile (above), Instagram, Facebook and her website (http://www.chantelsoumis.com). If you enjoyed today's episode, please send us a voice message (via Anchor) and let us know, or send us an email to impactbychoice@gmail.com. Also, we would appreciate your kind review on iTunes, so we can grow and spread our message on a wider scale. Thank you for tuning in! As last week we faced some technical issue which limited our time, today we will dive in more depth of chapter 2, called "Who is Rada?". Two golden nuggets from the episode: "Create a dance about your ugliness" & "Compassion is the highest level of spirituality". Rahila Khan is a Journey practitioner for over 20 years and an advocate for Leadership of Love. Both my beautiful guest and I would love to thank you for giving us your time and for sending us filled-with-love messages via social media. We appreciate your interest and would love to learn your feedback every time. In this regard, you can leave us a voice message (if you listen via Anchor) or send us an e-mail to impactbychoice@gmail.com. If you enjoyed this episode, please show us some love by leaving us a review on iTunes, so that we can grow and have our message spread on a wider scale. You can learn more or contact my guest by visiting her LinkedIn profile - https://www.linkedin.com/in/rahila-khan-873900143/. If you would like to also learn more about your host, you can reach out via LinkedIn as well (https://www.linkedin.com/in/andrada-anitei/) or by going to andradasworld.com. The book we bring insights from can be found on WorkApp (https://workapp.world/business/The-Man-the-Moon-and-the-Casquette---A-Self-development-Book/TjJObVk2UzFBc2pnRG5KQUc2MFJOZz09) or Amazon (https://www.amazon.com/gp/product/9730282447?pf_rd_p=1581d9f4-062f-453c-b69e-0f3e00ba2652&pf_rd_r=3ZS0J066NW4JBCBSXQKS). See you tomorrow for an interview with the beautiful and absolutely amazing Chantel Soumis. Stay true! Kyle Crooke is a 26 year-old writer, consultant and content creator, who aims to "add value to “purpose seekers” by offering motivational and personal development content that encourages them to lead more purposeful, passionate, and persistent lives". At the same time, he is a fitness passionate who used to have people anxiety during college years. He created a short e-book, called "Your Motivation Mission", which can be downloaded for free from his website (https://kylecrooke.com/offerings/) and which is conceived as a daily motivator, for 31 days. In today's episode, we talk about life-work balance, faith, fitness, writing, engagement in the workplace and more. You can connect or reach out to Kyle by checking his LinkedIn profile (https://www.linkedin.com/in/kyleocrooke/) or via Instagram (https://www.instagram.com/claim_your_purpose/). ***** If you enjoyed today's episode, leave us a voice message via Anchor or send us an e-mail to anitei.andrada@gmail.com. Each share and review is highly appreciated! Thank you. Ep. 06 - Oblivious Tooth Fairy! Kids are being exposed to fairy tales which, of course, are the magic of childhood. Nevertheless, some of these tales have turned into economic gains for kids, due to how the messages are spread around. Anyhow, we - as parents - need to cope and comfort out kids when fairy tales turn out differently. In this episode I recount how I shamelessly forgot to play Tooth Fairy for my elder child (2 times in a row !!!) and I have a question for you all: How do you teach kids NOT TO BEAT THEMSELVES UP for the mistakes of others? I am grateful for your engagement with this episode and for leaving me a voice message (if you listen via Anchor) / sending me an e-mail to impactbychoice@gmail.com. See you on Thursday, for the #BookInsightsSeries with Rahila Khan, and on Fridays, for a new interview. Stay blessed! Caroline Fernandes is a seasoned Executive Coach, with 20 years of experience serving global multinational companies. Currently, she is the co-CEO for a learning consulting company, called TirGlobal and the co-CEO of a mentoring platform, called MentorYouGlobal. Over the last five years, she chose to dive into harnessing inclusive spaces that offer tools for businesses to thrive. She enjoys the sweet spot between Coaching, Creating Inspirational Content and Social Entrepreneurship, as her life's passion and mission. As a human behind the scenes, she's the mother of a wise 14 year-old young man, a mindfulness practitioner, a lover of community an she loves baking gluten free cakes! You can reach out to Caroline via her LinkedIn profile (https://www.linkedin.com/in/carolinefernandescoach/). In today's episode, Caroline Fernandes tells us the story of her journey from an inexperienced wedding dresses manufacturer to a Leadership coach and mentor. As we dive in, we also discuss about meditation, how she teaches her son respect for women, how can we avoid bulling in schools and many more. If you enjoyed this episode, leave us a voice message or let us know via email at anitei.andrada@gmail.com and share it with your friends. Also, make sure you leave us a review on the platform you are listening to this show. Take care! Every Thursday, Impact by Choice podcast will bring you a special (bonus) episode, which aims to provide you with insights from my book - "The Man, the Moon and the Casquette" and wisdom related to the lessons in the story. For this endeavor, Rahila Khan will be your co-host for the #bookinsightsseries, offering you the opportunity to learn more about who she is, what she does and how did she perceive this writeup. In reference to her Linkedin profile, Rahila Khan is an educationist, a Journey practitioner, a facilitator of emotional & spiritual intelligence program, lateral thinking skills & problem solving techniques. Everything she will be sharing in this series, in reply to my questions, is as result of her over 30 years of direct experience in facilitating workshops for children, women, professionals and businesses, as advocate in leadership of love. ***** You can address any questions to my guest by leaving a voice message or by sending us a message to the below mentioned e-mail. We would be more than happy to engage with your queries and answer in a future episode. You can reach out to Rahila via her Linkedin profile (https://www.linkedin.com/in/rahila-khan-873900143/) or her website - https://ishq.co.za. ***** In today's episode, we discuss chapter 01, the summary of which you can find below. The first chapter, called "A simple man", presents the main character's family history and actual environment. Arian's parents love glamour, as they consider themselves superior to others and fully entitled to be adored. Therefore, they throw loud parties until late at night. At the same time, as a guiding characteristic of their existence, they stick to the syntax "it has always been this way". Additionally, from early ages of Arian's existence, the parents find out about Arian's brain exceptional capacities and that makes them despise their child. Due to all the above mentioned aspects, the parents would do anything to put their child down, making him feel miserable, unwanted and unloved. As a consequence, Arian grows up with a strong feeling of unworthiness, carrying a serious lack of self-esteem into adulthood. ***** Find out more about your host by checking out andradasworld.com and feel free to send us your feedback/ suggestions to impactbychoice@gmail.com. See you next Thursday! Dino Pacella is a personal branding strategist, that shows genuine interest in the world around him. One of the most important things that he preaches is "flipping the M in the Me and turning it into We". Additionally, he is the creator of Ubervation (https://www.youtube.com/watch?v=RmqnRkwe824), co-host of "Perth LinkedIn Success" series (https://www.youtube.com/watch?v=KbGcy6gIbnA) and the founder of the National Finance Broker's Day (https://www.youtube.com/watch?v=AFHuONcOF4w) in Australia. In this episode, we spoke about the term "influencer" and why he is not so fond of it and prefers the term "impact"; at the same time he provides valuable inputs on leadership, social causes, social media, off-line life, gender equity and more. In a nutshell, he reveals his own way of impacting the world around him with each step. If you are seeking a personal branding strategist to help you stand out from the crowd and convey your message in a fantastic manner, contact Dino via his LinkedIn profile (https://www.linkedin.com/in/dinopacellaofficial/). As this show is open to suggestions, feel free to send us an email to anitei.andrada@gmail.com or leave a voice message. If you'd like to find out more about why I do what I do, follow me on LinkedIn (https://www.linkedin.com/in/andrada-anitei/) and check out my website (andradasworld.com). This episode will reveal a small part of how Norma chooses to make an impact on the world around her, every single day. Norma Kraft is a career strategist, with over 20 years of experience in the recruitment and talent acquisition industry. Currently, her venture is heading towards assisting people to stand out from the crowd and become more visible in the eyes of the recruiters. She is a qualified resume writer, advisor and coach. While she invests precious time in helping people who are transitioning to/ from a new job to discover and tap into their higher potential, she is also a fierce fighter against the trend of ageism. The hashtag she uses very often and would love to become a revolutionary mindset is #AgeDoesNotDefineUs. In addition to all of the above, she carries deep within the heart of an innocent child and approaches life with the joy she declares her grand-daughter taught her. So she takes this love for life and people into the business field. 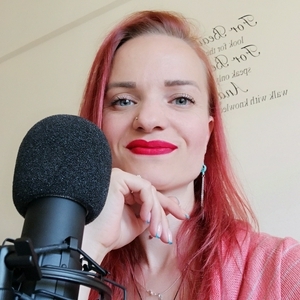 Get connected with my guest via her Linkedin profile - https://www.linkedin.com/in/normakraft/, on e-mail - Norma@normakraft.com and set up a discovery call via Calendly -http://calendly.com/normakraft. Send us your questions for today's guest at impactbychoice@gmail.com or leave us a voice message (from the Anchor app) and I will be happy to answer in a future episode. Have an abundant time ahead! In this episode, you will hear the narration of a short article I wrote in December 2017, from the perspective of a woman who felt like losing everything. Find the written format and subscribe to my website here --> https://andradasworld.com/2017/12/12/today-tomorrow-always-2/. I would love to learn your questions and/ or feedback. Feel free to send me an e-mail at impactbychoice@gmail.com. Much love, A. What's the best time to start a new adventure? January 1st, naturally! Therefore, this is what your host has decided to enroll to for 2019 - a new way to reach out to the beautiful people around the world. In the first episode, you will find out what are the main pillars of the show, when will it be regularly released, as well as WHY and WHO is this for. You can reach out to me at impactbychoice@gmail.com or by leaving me a voice message, via Anchor app. Ask away or let me know what you think about all this and let's interact! Welcome to your new favorite podcast! May your New Year be filled with abundance, joy and gratitude! Learn more about your host's writing on https://andradasworld.com, and show some love on Facebook (https://www.facebook.com/AuthorAndradaAnitei/). The book mentioned in this episode ("The Man, the Moon and the Casquette") can be found on Amazon, both in paperback and Kindle version.